Dog Handlers work with specially trained dogs and are responsible for their care and control, they can be used for tracking missing persons, searching for drugs and explosives, chasing criminals, crowd control and patrolling and guarding property. 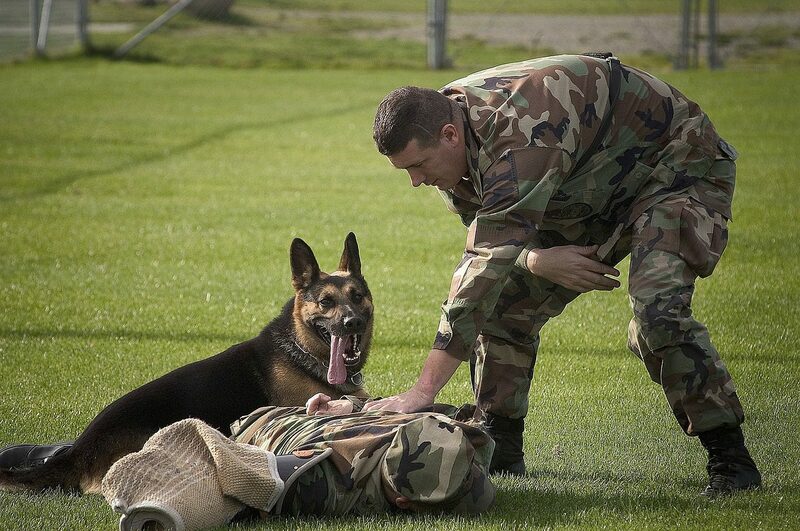 Dogs and Dog Handlers are used by the police, RAF, Army and Customs as well as private companies. There are no set requirements, but you’ll need experience of caring for dogs. You’ll usually need some training and experience in the organisation you wish to work for, like the police, British Army or Royal Air Force, before moving into dog handling. To work in private security you'll need a Security Industry Authority (SIA) licence and clearance from the Disclosure and Barring Service (DBS). You could gain voluntary experience with the National Search and Rescue Dog Association (NSARDA) before applying for dog handling training. To be a dog handler you will need to have patience and a love of dogs. You will need to be able to judge situations which could be confrontational and deal with them effectively.